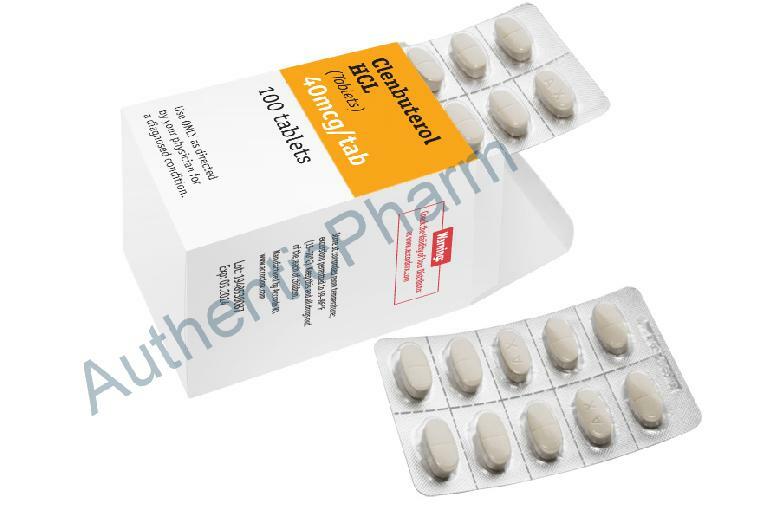 Clenbuterol HCL by Accordo RX is an oral preparation containing 0.04mg of the substance Clenbuterol per tablet. Clenbuterol HCL, as it is often called, is often used by bodybuilders to aid in reducing fat in the body. It's effects are very similar to popular, now banned, substance, ephedrine. However, the effects of clen tend to be longer lasting and slightly stronger. This substance will often cause a slight increase in the body?�?�?�????????? ?s temperature, elevated heart rate, and slight anxiety. It also increases the rate at which fat and protein are used in the body, make its effectiveness as a fat burner obvious. Clenbuterol HCL is also effective as a breathing assistant. Users often report that they are able to endure cardio sessions for much longer periods of time due to this. This effect also lends itself greatly to a bodybuilder who is trying to cut fat in order to get into contest shape. Some users of Clenbuterol HCL claim that it has slight anabolic properties as well. This is usually due to the increase in strength that is often felt soon after administration. However, it is more probable that this is more due to the drug's effect as a stimulant rather than some sort of anabolic activity. Clenbuterol HCL acts on the receptors quickly, and because of this, it is often recommended that it be used for two weeks at a time then given a two week break in order to allow the receptors a break. If this is not done, one's body can grow accustomed to the drug and its effects will subside. Bodybuilders should be certain to consume plenty of water while taking Clenbuterol HCL and never to consume more than three tablets a day. Most prefer to take their tablets in the morning in order to give the effects time to subside before bedtime. Those with history of heart problems should not use Clenbuterol HCL. Women also find favor with the drug, but at lower dosages.